It’s been two weeks since I left my job at the school newspaper. I was juggling school, extracurriculars, a job and then trying to figure out what in the world I was going to do after graduation – it was too much. So I let go of the one thing I knew I could live without. And since, I’ve been able to sleep at normal hours, not be bombarded by hundreds of emails and maintain my sanity. But there are some things that I do miss. Here are five things that I honestly miss from my job. I always found it odd when people got overly excited about me working for the paper. They think it’s a secret club that only cool kids (which I am definitely not) can be in. My friends ask me about office secrets, who I’ve talked to (saying that the town mayor follows you on Twitter gets you a lot of points in the nerd group), and always use me a source of news. I kind of liked it – I was like this secret spy who knew everything that was going into the paper the next day and it felt really nice to tell people that I worked there. It was an honor actually. I hate sports. I don’t understand them and I don’t understand the appeal of waiting hours in line to see a game you could easily see on TV. And I mean we don’t cover cricket, which I still know nothing about and only pay attention to when there is an India v. Pakistan game (HA ANNA!). But the sports desk at the paper wasn’t a group of crazed sports fanatics that spoke this foreign “sports” language – they were actually really nice guys. They would always goof around, make jokes and play music and dance around the office. Yeah, they were loud, but when you have been in there for five hours, listening to their silly conversations was always a great way to take a break. So thank you sports desk for keeping me entertained. Even though we are a professional news organization, that didn’t mean we had to be grouchy, boring reporters. A lot of the editors would goof around and have silly conversations that were fun to listen to. Though I usually just stayed in my corner, avoiding the craziness that happened in “front-shop,” I always liked to look up and see someone dancing, someone spinning in a chair, or someone just putting another person into the trashcan (I never understood this but it was still funny). Kind of like sports desk, the editors always looked out for each other and made sure that everyone was having a good time. I came to the paper with no journalism experience what so ever. Sure, I liked to write, but that didn’t mean I knew how to do an interview and write an actual story. My first story was a murder trial – imagine how that went. I was terrified. But I’m glad my editor forced me to do it and believed in me. Through the paper, I was able to learn good reporting skills and get my name out there. Through it, I got an amazing internship at a health news organization that I still write for. If it weren’t for the paper, I would probably still be a biology major, drowning my sorrows in a botany textbook, questioning my life choices (not that I don’t do that now). Because of this paper, I’m more confident and better prepared for the world around me. 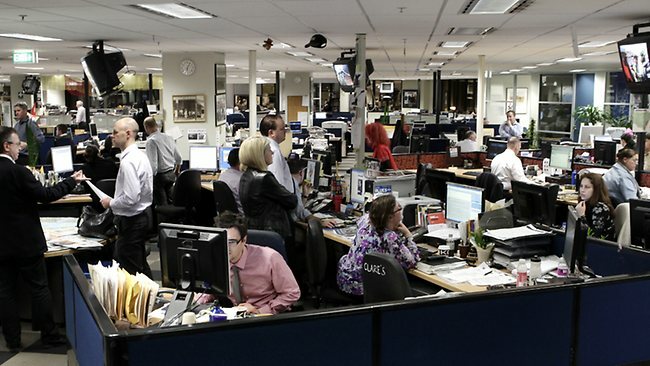 I joined the paper at the City desk and stayed on with them for my four years there. Not only did I get to cover a large variety of news, but I was surrounded by people who always had my back and supported my ventures. This year, my fellow assistants and my editor became my close friends, people I could rely on. And my writers were people I honestly loved talking to and working with. Everyone on my desk cared for each other – we were a family. And I miss them. Though I was the desk grinch and hated participating in social events, know that I loved working with you guys, even when it was two minutes until deadline and we were all freaking out. I love my pretty city.